When Jaguar needed to add some driver notification sounds to its latest all-electric performance SUV, the I-Pace, the iconic motoring brand turned to the Atlanta-born, electronic music maestro Richard Devine for the job. 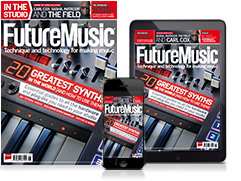 Armed with his trusty Yamaha Montage, he set to working on the the vehicle’s user interaction and navigations sounds with the help of the synth’s FM-X engine. We met up with Richard recently at the launch for the new Yamaha MODX, which he a hand in designing presets for and was able to talk to us about the project. Alongside designing the notification sounds, Richard also designed the engine sound itself, which we would love to hear for ourselves. If, like us, you dream of owning such a vehicle or perhaps, unlike us, can afford one, then check out the Jaguar website for full details on the I-Pace. On a slightly more accessible note, Richard’s upcoming album Sort\Lave will be out on Planet Mu 2 November 2018.